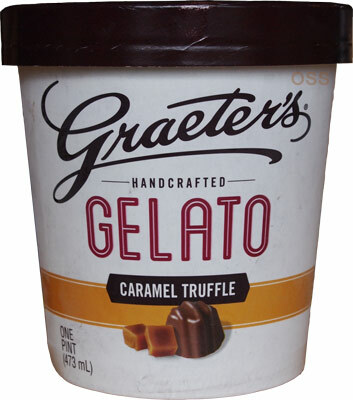 [New for 2014, now discontinued] Graeters, one of the oldest ice cream companies we have on the blog, has surprisingly jumped in to gelato game. They still make ice cream 2.5 gallons at a time, so despite upgrading to a new facility, I'm still shocked they have time for this, but at the same time, it's not like they're about to put out a terrible product (I'm looking at you Breyers). Note: Now just so you know, that strange dirty looking pint is actually a print. No, I don't like it, but it is what it is. 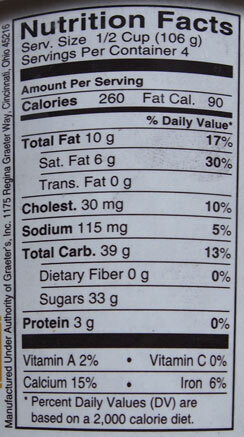 When Nick sent me pics of the hazelnut gelato, I was confused why there was a fingerprint on the nutrition panel, but sure enough, that same fingerprint is on this pint (see pic at end of review). I get what they are going for, but my OCD has me trying to clean the pint off for a better picture and it just isn't working. 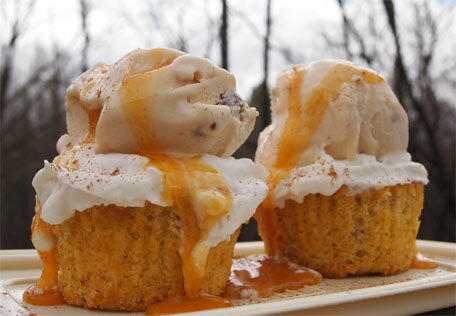 Now the first scooping went in to these cupcake treats, so it's not a full blown taste test, but it did make a great first impression. 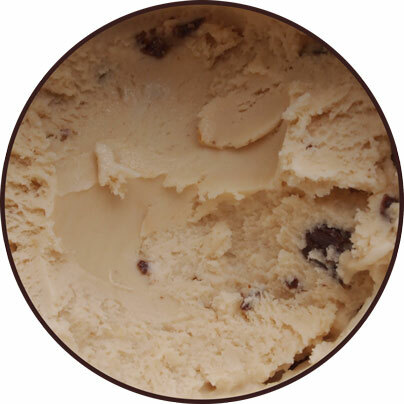 Where as Talenti's version has always struck me as a bit salty (though I know many disagree with me), Graeters version is more of a sweet candy version with just a hint of salt. It works well. It's not a straight, buttery sweet, but it's definitely wether's-ish and it's cool, plain and simple. It tempered pretty quickly and the truffles seem plentiful. Nice first impression! On Second Scoop: was brief, but enjoyable. I'm not getting that frozen tongue effect that I get with the smoother Talenti, but I'm definitely enjoying myself. You know it's a winner when you can't stop scooping... ahhh, but I've got somewhere to be.